As a year-long intern at Source One, I’ve supported my fair share of client projects ranging from a simple contract negotiation with an incumbent supplier to a total transformation of procurement operations. And, if there’s one theme consistent across all of these projects and main lesson to learn, it is the need to constantly evaluate and assess where and how your organization’s money is being spent. If you constantly monitor and analyze your spend to find room for improvement, the savings will never end. This is true for when procurement is tasked with cutting costs in particular category or even looking to develop a partnership with a supplier with more value-ads. Ultimately it all comes down to the data. Whether you have telecom contracts that are approaching expiration and need to be renegotiated, or you’re looking to go to market for a new raw materials supplier – effective cost reduction initiatives begin with first analyzing your current spend. First things first, to start any cost reduction project, make sure you have the proper data. 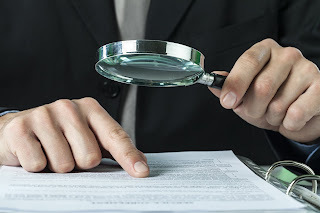 Your general ledger (GL) is a great start for the basic information of how you money is being spent, but you’ll need to do some digging for more granular level information specific to how suppliers should ideally be categorized. This phase involves a lot of communication with various departments. You’ll also want to take a look at invoices, purchase orders, data sheets, contracts, and other information regarding suppliers and the good/services they provide. Once all of the necessary information is collected, it needs to be cleansed. This includes deleting any redundant entries in data, standardizing the data, and fixing any errors that are found. This step will provide you with data that is a lot easier to worth with. It may take a while, especially if data needs to be re-entered or standardized into a specific system, but the cost of the time will be worth the savings in the end. Another important step with the data cleansing is categorizing the spend into different industries, suppliers, ranges, etc. This will then lead into the analysis process and will enable you to develop better insight. The insight into the spend data is now a lot clearer thanks to the data cleansing. Now that the spend has been categorized, it is easier for you to determine which areas should be focused on, in order of priority. For example, you can prioritize the largest spend areas through sorting by spend range and then by supplier, supply type, or even time of year, depending on your needs. Once the prioritizing requirements are established, you can analyze the data by picking out the priority areas. You will take a further look into each aspect of that prioritized segment, looking for areas with the potential for improvement. Areas that have improvement opportunities can be contracts, processes, or even compliance. Now that the data has been analyzed and you have determined the areas for savings, you can move forward with the sourcing or negotiation strategy. For example, if you determined that contracts could be improved due to pricing or just the terms and conditions themselves, you can either negotiate with your incumbent suppliers or look out into the market for more efficient suppliers for your needs. Once these processes are put in place, new contracts can eventually be implemented. Another issue may be compliance, whether it be paying suppliers on time or reaching your full spend potential. For instance, a supplier may have hidden late fees or auto-renewal clauses. These are red flags that need to be kept in mind at all times. Perhaps you could be ordering more supplies according to your contract that you hadn’t even realized prior to taking a closer look at the data. All of these compliance issues can be fixed by simply conducting a spend analysis and taking on an “outside-looking-in” perspective. Potential for improvement may have been determined within your internal processes. If that is the case, we can provide the advisory services and assistance for transitioning your current processes into more efficient ones. Your job does not end with the implementation of your new contracts or more efficient processes. Constant monitoring after the implementation process will enable your company to ensure that you are getting the most out of your spend. Source One can help you with this monitoring during the following year by completing audits of your bills. By auditing these bills and your data, we can make sure that you are still on the road to savings! For more information on how a spend analysis could support your cost reduction or process optimization initiatives, contact Source One. Our spend consultants have decades of experience perfect the data classification, consolidation, and cleansing process and can provide you with a comprehensive understanding of how your company is spending money. More so, our experts have the strategic know-how to guide your through your cost savings initiatives after the opportunity has been identified through a detailed spend analysis.